This contains all the ingredients for the ultimate turkey roast. 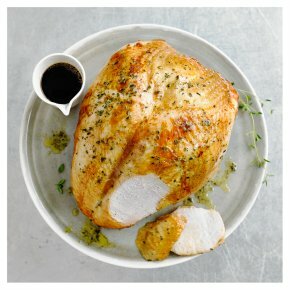 Inside there is a a turkey crown for easy carving, a brine for you to add succulence and flavour, a herb butter to baste and a rich silky jus for you to finish with. Important information: the turkey crown should be placed in the brine bag for 24 hours before cooking. For Christmas orders this product has a use by date of 26th December 2018.